Are you planning to set up a membership site with WordPress? Discover the best WordPress membership plugins in this comprehensive guide. Having a membership site allows you to protect some or all of your content from being viewed or accessed by anyone and everyone online. WordPress is an ideal platform for setting up a secure membership site. WordPress already comes with a built-in user management system and content protection features, so all you need to start your own membership site is to add and configure a membership plugin on your WordPress site. In this tutorial, you will learn about various membership plugins that are available for creating a membership site using WordPress. Simple To Install, And Easy To Use. 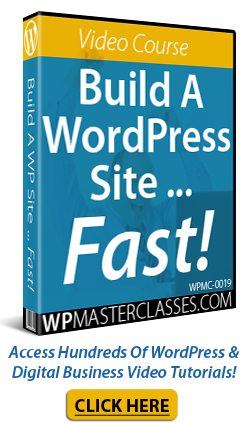 Every software system has a learning curve, but setting up a membership site using WordPress shouldn’t be so difficult as to require learning how to edit code. Most of the membership plugins we recommend below install like normal WordPress plugins and tend to be quite easy to use. Well-Supported. Having access to knowledgeable and timely support is essential when running a membership site. 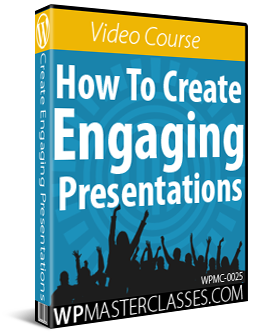 Look for good training documentation, step-by-step video tutorials, user forums, etc. in addition to technical support. Supports Free Membership Levels. You may want to create a membership level that does not require users to pay. Most membership plugins offer this. Flexible Membership Structures. Depending on your needs, you may want to offer several types of membership options to users (e.g. Bronze, Silver, Gold, Platinum, Pro, etc …), where users further up the hierarchy have access to more content than the levels below. Additionally, you may want to create completely separate products. Flexible Content Protection. You may want to restrict access to all the content on your posts and pages, or just have partial protection (e.g. readers can view the post, but have to purchase access to a download link or file). Sequential Content Delivery. This is also known as Content dripping. Depending on your model, delivering your content all at once can create certain problems, the most common of which, is where someone buys a membership access to your site, downloads all your content and then asks for a refund. Content dripping has the benefit of allowing you to control access to your content to prevent this issue from happening (e.g. you can set some bonuses and content to appear only after the refund period has expired). 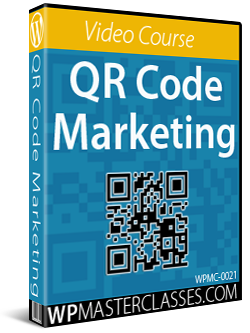 It also allows you to deliver training content at a pace that does not overwhelm your audience, and to build trust and loyalty with your members. 3rd Party Services Integration. 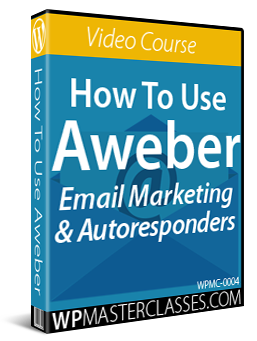 You may already be using a service like Aweber for autoresponders or ClickBank for payment processing. A membership plugin that integrates with these services will make the process of setting up and running your membership site faster and more efficient. There are many great membership plugins available for setting up and managing a membership site on WordPress. Like all software, some will provide better features, benefits and/or advantages over others. It’s up to you to know what you need the software to do to make your membership site run more efficiently, and then make sure that you fully research all of the options, features and pricing details of any plugin you are considering investing your time and money using. Below, we have compiled a list of some of the most popular and well-known WordPress membership plugins available. These plugins are used by thousands of businesses to run successful membership sites and most of them are well-supported and provide good training documentation for users. The plugins listed below also include just about all the features you need to run a successful membership site online. The list of membership plugins below is by no means exhaustive. We plan to continue adding new membership plugins to the list below, as new plugins offering different options and features to the ones listed below become popular with WordPress users. Wishlist Member offers full integration with WordPress. WishList Member also fully integrates with many leading payment processors such as PayPal, 1Shopping Cart, ClickBank and Infusionsoft, and autoresponders like Aweber, MailChimp, GetResponse and more. Additionally, Wishlist Member provides integration support for other payment processors and 3rd party email autoresponders through a ‘generic’ option. Protecting your content with WishList Member is simple and easy. You can set protection levels for an individual post or page in the edit screen, or set up global protection / multiple post/page protection from the plugin admin screen. Some additional functions worth noting are Partial content protection – this is done by inserting shortcodes (tags) into your post, and preventing membership accounts from being shared (requires a separate add-on). Step 1: Create your content. Step 2: Upload and protect your content. Add articles, videos, PDFs, MP3 audio files and just about any other type of content you want to your membership pages or posts. Step 3: Seamlessly integrate your shopping cart. You get a full year of support and upgrades with no extra fees or hidden charges. With WishList Member, you can create single-fee memberships, or recurring subscriptions with sequentially-delivered content. Seamless email integration with Aweber, MailChimp, InfusionSoft and other email marketing services and autoresponder solutions. This lets you communicate with and upsell your members. You can protect all of your content, or just part of it, creating a “teaser” for attracting new members when visitors come to your site. You can charge visitors an access fee “per post”, so instead of joining your membership site, visitors can just pay to access content on a single page. Create unlimited membership levels (eg. Silver, Gold, Gold Plus, Platinum, etc.). Integrates with your WordPress site. Just unzip the file, upload to your plugins folder and activate! 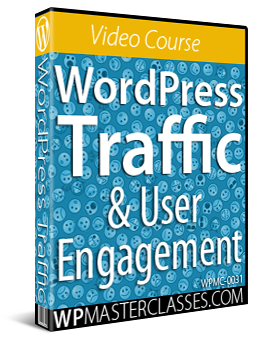 Works seamlessly with proven marketing WordPress themes like OptimizePress and InstaBuilder. Flexible membership options. Create Free, Trial, or Paid membership levels — or any combination of the three. Easy member management interface. View your members, their registration status, membership level, and more. You can easily upgrade members, move them to different levels, pause their membership, or delete them entirely, all from a single administration area. Sequential content delivery. This lets you graduate your members from one level to the next. For example, after 30 days, you can automatically upgrade members from a Free Trial to the “Silver” level. Control viewed content. Just click the ‘Hide’ button to protect exclusive content for members of a particular level. You can also create modular memberships and hide content from other levels. Shopping cart integration. Wishlist member seamlessly integrates with the most popular shopping cart systems, including PayPal, ClickBank, Cydec, Infusion, and many more. Multi-level access. Give your members access to multiple levels within your membership. For example, create a central download location with access granted to members of all levels. Total content protection. You can specify exactly what content your members can access! You can even drill down and grant access to specific posts, pages, categories and comments for each membership level. Secure RSS feeds. Secure RSS feeds allow your members to view their membership material in their favorite RSS reader. But, it also gives you complete control – non-members can’t access the feed and if a person stops paying, their feed automatically stops working. “Sneak Peek” content display. This allows you to create “teaser” content. For example, add an eye-grabbing post title and an excerpt of your content, then protect the rest of your content with a special tag. Everything after the tag will be automatically protected and accessible by members only. Login redirection. You can set the first page you want your members to see when they log in. You can also use a different redirection page for each membership level you offer. This allows you to customize welcome messages, updates, news, etc. for each membership level. Subscription length control. Control the length of time each member has access to your membership site. For example, you can automatically expire a membership after 3 days, 7 days, or whatever time period you want. Custom error pages. When someone tries to access content they don’t have permission to view, they will be redirected to an error page. You can specify what page they will be taken to, and customize the content (e.g. add a message encouraging them to register or upgrade to a different membership level). Partial content display. This is the inverse of the “Sneak Peek” feature, where you display the majority of a post to non-members except for one sentence (e.g. a download link), or a section of content. Only your members can see the content. WishList Member also provides a forum for customers and additional features such as custom plugins and resources through a monthly subscription offer (called “WishList Insider”). WishList Member is sold with a 30-day money back guarantee and offers the option of purchasing either a single-license (one-site) or a multi-site license for unlimited domains (see their website for pricing details). Todd Spears and Martin Crumlish, two highly successful internet marketers, developed Member Rocket after trying many of the most popular WordPress membership plugins and realizing that, although most of those plugins have great technical features, they were lacking certain key features that would make the process of growing a membership site simpler and easier for most users. Hence, they developed what they claim to be “the last membership plugin you will ever need”. With Member Rocket, you can set up a membership site in minutes, with just a few clicks of the mouse. If you have any internet marketing experience, you will quickly come to realize that Member Rocket works with almost everything you are already used to, like WordPress themes, payment processors and affiliate networks like ProductPay, PayPal, ClickBank, W+, JVZoo and Digiresult, and more! After payment, users are able to register straight away and access their purchase. (Non-registered users cannot bypass the payment page). The process has been made very simple for buyers – they pay, register, login and access their purchase without any hassle. You can protect ALL videos and PDF downloads with secure Amazon encryption. Members will not be able to share links to videos or downloads. Can limit plugin installs – from single to any number. You can launch on all main digital product selling networks at the same time giving you more exposure to affiliates. Automatic deactivation of any plugins you resell through your membership site if someone refunds. S2MemberPro protects your WordPress posts, pages, tags, categories, eb addresses, BuddyPress/bbPress forum threads, and even portions of content within posts, pages, themes, and plugins. s2Member is easily configurable and highly extensible. You can even protect downloadable files and streaming audio/video and store files locally or use s2Member’s integration with Amazon. 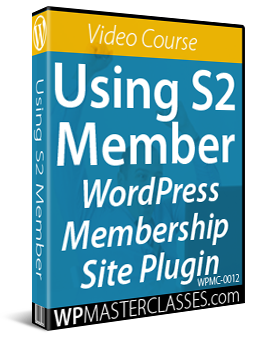 s2Member is powered almost entirely by WordPress shortcodes, making complex integrations quick and easy. You can sell flexible recurring (or non-recurring) subscriptions or sell “Buy Now” access in various ways. You can also sell access to specific posts and pages, file downloads, or Custom Capabilities that provide highly configurable access to specific sections of your content. s2Member integrates with Stripe, PayPal Standard, PayPal Pro, Authorize.Net, and ClickBank. For video tutorials on the S2 Member plugin, see our Online Business video tutorials section. Seamless integration with a number of payment processors, including PayPal (Standard, Website Payments Pro and Express Checkout), 1Shoppingcart, 2CheckOut, CCBill, ClickBank, Authorize.net and more. Allow free memberships to purchase access to content on a pay per post basis. In addition to setting up multiple membership levels, you can also set different membership billing options with an unlimited amount of subscriptions. Control how long memberships are valid with membership expiration. For example, you can set up a ‘trial’ membership to expire after two weeks. See all of your members’ details (status, level and other information) in one easy to read location. The software supports “.mo” (Machine Object) files, so you can translate your site into other languages. Seamless integration with major autoresponders like AWeber, GetResponse, Constant Contact, iContact, and MailChimp. Protect downloads from being accessed by unauthorized members and guests by assigning permissions based on different access levels. Sequential Course Delivery System (Drip Feed) allows you to set a delay (in days) before your members see certain content. This allows you to provide new content to your membership on a weekly, or monthly basis. You can protect posts published under certain WordPress categories assign access to these categories to specific membership levels. Your members can receive content through protected RSS feeds (non-members cannot access these feeds). Custom widgets and shortcodes (e.g. Login, Register, Text and Status Widgets). The Magic Members WordPress membership suite offers users the option of purchasing an additional Magic Kicker account sharing prevention plugin that prevents multiple users logging into a single account. Magic Kicker plugin is not required in order to use the Magic Member plugin, and must be purchased separately if you buy the Magic Member single user license. WordPress eMember is a powerful and easy to use WordPress Membership Plugin. Easy installation. Video tutorials show you how to set up a membership site in minutes. Full or partial content protection of posts, pages, categories, comments, download folders, etc. Multi-Site License comes as the standard option. When you buy the WP eMember plugin you can use it on as many sites as you own. Easy Member Management. View your members, membership level, account status, etc. Easily upgrade members, move them to different membership level, pause their membership, or delete them entirely. Schedule automatic upgrade of your members from one level to the next. For example, after 30 days, you can automatically upgrade members from a “Silver” level to “Gold” level which will then allow them to view the content of the new level. Login security – You can restrict member login by IP address and lock out users who excessively attempt to login using incorrect details. You can also prevent unauthorized visitors from accessing your site or the entire domain, and prevent users from sharing logins. Login Redirection lets you set the first page your members see when they log in. Even use a different redirection page for each membership level. Custom Registration Fields allow you to customize member registration form field. Google First Click Free (GFCF) – eMember lets you use Google First Click Free feature so your protected content can be indexed by Google search. Very easy to use and seamless integration into your existing WordPress site. Your members can bookmark their favorite posts and pages on your site then view their bookmarks later. Integrates with major Autoresponders (AWeber, MailChimp, GetResponse). 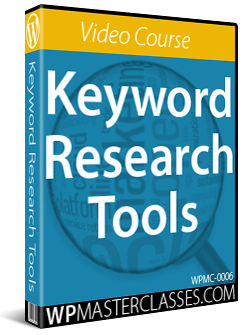 Integrates with the WordPress Affiliate Platform Plugin. 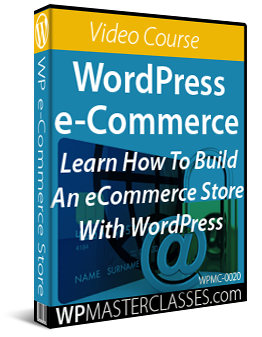 Integrates with the WordPress eStore Plugin (WordPress Shopping Cart) plugin. Dynamic Dime Sales – Pricing changes dynamically after each sale so you can increase conversions adding scarcity to your offers. Use with any WordPress theme including OptimizePress, InstaBuilder, Woo Themes, and more. 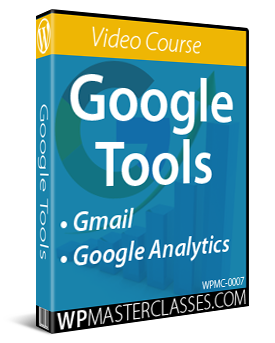 Integrated email broadcasting and autoresponder features. Supports multiple payment processors including Authorize.Net, 2Checkout, PayPal and others. Direct integration with popular networks, including Click Bank, Warrior Plus, DigiResults and JVZoo. Digital Access Pass (DAP) is a premium Membership Plugin for WordPress (and plain HTML/PHP web sites) currently used by thousands of users. DAP provides a complete end-to-end content-delivery platform for creating a membership site, or just a password-protected private area, and securely delivering different types of content. You can provide both free and paid access to many different types of content … WordPress Pages, Posts & Categories, Videos, Audio files, PDF Reports, MS Office Docs, Zip files, HTML pages, and even images. DAP lets you protect and drip just about any kind of file with any type of extension. Digital Access Pass offers true content dripping, which allows you to specify exactly when your content becomes available for each membership product, and even lets you re-arrange your content sequence using drag-and-drop. Additionally, besides being able to set individual pricing and customizing your content sequence, every product can have its own customized sales page, landing page, welcome email and email autoresponder series. Sell recurring-subscriptions and one-time products. Accept online payments from all major carts and payment processors – Authorize.net, ClickBank, e-Junkie, Paypal Standard (Business & Premier), Paypal Website Payments Pro, 1ShoppingCart and all private labels, 2CheckOut, Infusionsoft, Premium Web Cart, WP eStore, Plimus, Warrior WSO Pro, Google Checkout, JVZoo, DigiResults and more. Built-in FREE DAP Shopping Cart lets your members check out and pay right on your site if using Authorize.net, Paypal Standard and Paypal Website Payments Pro. Free cart also supports Coupon Codes and Dime Sales. Allows you to set up 1-Click Upsells and Downsells, and One-Time Offers (OTO’s). 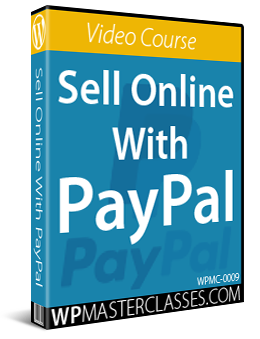 Built-in Affiliate Program with Pay-Per-Lead and Pay-Per-Sale configuration options and support for Paypal Mass Pay. Built-in unlimited email autoresponders and email broadcasts with support for international languages (e.g. Spanish, French, German, Dutch, Japanese and Chinese). Also supports 3rd party autoresponders like Aweber and GetResponse. aMemberPRO, like Digital Access Pass, is not a true WordPress plugin but rather a standalone application integrated into WordPress via a plugin. Nonetheless, it is a great membership software for selling digital products and downloads. You can integrate WordPress with aMember via the aMember admin panel, or their WordPress plugin. Support for multiple payment systems -PayPal, ClickBank, 2Checkout and more. Translated into 6 languages – German, Spain, French, Greek, Russian and Chinese. iMember360 is a membership site software application specifically designed for Infusionsoft users wanting to use WordPress. Infusionsoft is a Web-based system that combines intelligent automation with powerful CRM, email marketing, e-commerce and social media tools. iMember360 users install WordPress for Infusionsoft™, formerly known as “infusionWP” or “infuzionWP” – a WordPress plugin that will turn a normal WordPress site into a full featured membership site that pulls its data from and is driven by Infusionsoft’s CRM and e-commerce engine. What this means is that you can use InfusionSoft to control your membership site and WordPress to manage your membership content. iMember360 uses nearly all the automated features available in Infusionsoft to manage and control access to content in a subscription-based WordPress site. Using the Infusionsoft API, this plugin puts your site on auto-pilot, pulling the needed membership data from your Infusionsoft application to include membership levels, payment status, password, subscriber data, etc. With iMember360, you get the power of both Infusionsoft and WordPress. The plugin, however, adds a large number of functions which go beyond a simple integration of these two powerful platforms. Alternate login authentication procedure for WordPress allows both InfusionSoft-based members as well as local WordPress users to log in. iMember360 automatically creates WordPress users through InfusionSoft order forms, web forms, shopping or built-in lead capture widget. It then provides access control to your site based on live data from InfusionSoft. If payments fail, login automatically fails. Unlimited number of memberships per site. Membership levels can be defined as independent of one another (flat) or hierarchical. Each subscriber can have multiple membership levels on a site. Memberships can be paid, free or both. Each membership level can be assigned a separate login and logout landing page. Each page or post or membership level can be assigned a separate WordPress theme. Define pages for “visitors only”, “members only” or everyone. Optionally, teaser text (excerpts) may be shown to non-members and search engines. Deliver digital products from Amazon S3 through self-expiring, encrypted links. Over 300 pre-defined shortcodes are included, allowing you to expand the functionality of your site and enhance the content viewable by members. Integrates with the OptimizePress premium WordPress theme to create a powerful and cost-effective membership system. 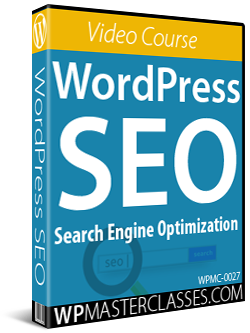 SEO features include configurable SEO slug optimization, page level search engine optimization, access to search engine crawlers and spiders for content indexing, and ability to provide additional content for search engines not visible to members. You will need to purchase the InfusionSoft application and have the API activated. Your server needs to have at least PHP 5.2.5 and IonCube must be installed/activated. WP-Members is a WordPress plugin that turns your WordPress blog into a membership driven site. This plugin lets you offer premium content to your subscribers and is adaptable to a range of applications. By default, WordPress allows all content to be “open” and viewable by anyone and allows the site owner to restrict specific content if desired by setting a password for the post. WP-Members operates with the reverse assumption. It restricts all posts by default but allows the site owner to unblock content as desired. This plugin restricts selected WordPress content and makes it viewable only to registered site members. WP-Members also offers the ability to change the default plugin settings. If you simply want to utilize the member management features and possibly restrict some content, the default plugin setting can easily be toggled to block or unblock pages and/or posts by default. No matter what the default setting, individual posts or pages can be set to be blocked or unblocked at the article level, overriding the default setting. WP-Members also puts the registration process inline with your content instead of the native WP login page. This provides an opportunity for users to register without leaving the page. WP-Members works “out-of-the-box” with no modifications to your theme, but it is scalable if you want to customize the look and feel, or restrict only some of your content. In addition to all of the features above, the plugin can be extended with premium add-on modules available from the support site. Plugin members also have access to support, examples, tutorials, and code snippets that will help you extend and customize the base plugin using the plugin’s framework. EasyPayPal is a WordPress plugin that does not create a membership site per se, but allows you to protect content on your site and collect payments from your users to unlock content on your WordPress site. Using the plugin is simple. You simply add a shortcode around the content you want to protect on your site. When a new user creates a login on your site, they will be taken to PayPal to process their payment. When they return to your site, the next payment date will be updated based on a period that you define. After the next payment date, the user will attempt to login and they will be taken to PayPal to process their next payment. Users must login/register before clicking on a Pay Button (if the user was sent off to PayPal without logging into WordPress, you wouldn’t be able to identify them and couldn’t unlock the content for them). Content is purchased by Post ID and Item Number. The Item Name is just a description for you and the user. If you have multiple [paybutton] tags in a post, you’ll want to use different item numbers, however, you could use the same item number in different posts. Hopefully, this tutorial has given you a better understanding of what a membership plugin can do for your business and help you achieve online. 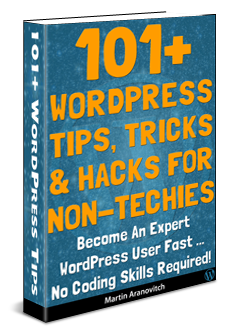 Originally published as WordPress Membership Plugins: A Comprehensive Guide.